Our caring and dedicated team is the foundation of our outstanding patient services. The Sharbot Lake Family Health Team is a busy rural practice located in the town of Sharbot Lake in the township of Central Frontenac. 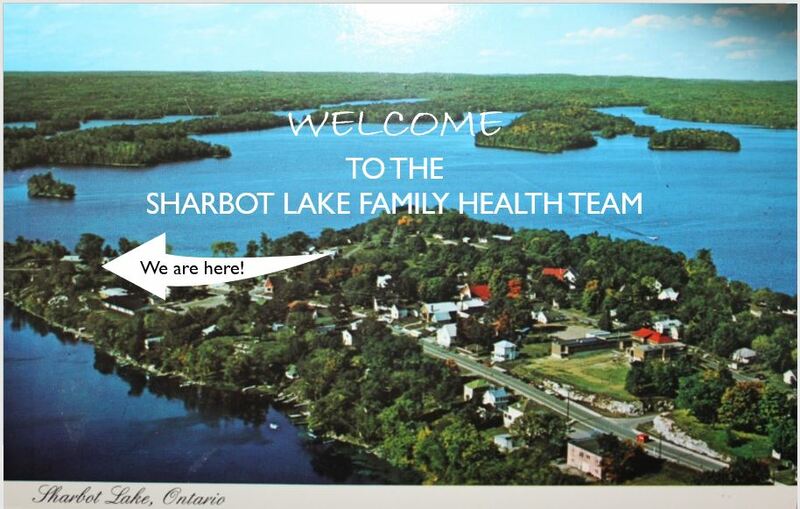 The Sharbot Lake Family Health Team is composed of an inter-disciplinary team of Physicians, Nurse Practitioner, Psychiatrist, Nurses, Certified Diabetes Educators, Dietitian, Occupational Therapist, Executive Director, Program Manager and Administrative/Support staff. Together we provide comprehensive, patient centered primary care to residents in the communities of Central Frontenac, as well as, portions of North and South Frontenac. We provide care for a patient population of approximately 2700. Our daily schedule includes acute and minor emergency care due to distance of the nearest emergency departments (30 minutes East to Perth, 60 minutes South to Kingston). (1-800-553-7205 -available after regular office hours, weekends and statutory holidays). We are confident that this website reflects our commitment to excellence, a team environment and a healthy workplace. We invite you to explore how we are delivering effective care now and into the future.